Google's acquisition of InMobi for $1 billion would solidify its position as the top player in mobile application ad installations and advertising. The combination of the two companies, reportedly in talks, would turn Google into a powerhouse, leaving Facebook in the dust. Bangalore-based InMobi helps companies target advertising to phone and mobile device users. Reuters cites sources with direct knowledge of the matter of the pending deal. They say the two companies have not yet detailed terms and conditions for the deal. In February, InMobi reported 1 billion mobile unique users across 200 countries activating 6 billion ad requests daily, 3 billion Facebook video views, 2.5 billion Instagram likes, and 500 million tweets. More than 100 million consumers interact with InMobi at least six times per day. The company also supports 30,000 publishers. "The acquisition of InMobi would remove a key competitor to Google's own ambitions in application-based advertising, which are based on AdMob, the mobile advertising network that Google acquired in 2009," per a note released from Ovum research firm Wednesday. "Next to Facebook, InMobi is one of the largest, most successful independent mobile advertising networks. … [The] combination of AdMob and InMobi's capabilities would help Google keep ahead of Facebook in mobile display advertising," per Ovum. Google represents the biggest portion of mobile advertising revenue, but Facebook is showing gains. In 2014, 69% of Facebook's total advertising revenue came from mobile. InMobi's strength in emerging markets would become useful in helping Google counter Facebook's aggressive push into such markets. Google's mobile ad market share fell from 52.6% in 2012 to 46.8% in 2014, while Facebook's rose from 5.4% to 21.7% during the same period, per eMarketer. 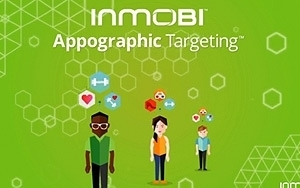 In the wake of reports about the acquisition, InMobi launched Appographic Targeting, a tool focused on the common language of how apps are described in terms of key functional, design and interactive elements to improve targeting. This language, like other languages, uses alphabet, syntax, and grammar. Company execs believes the language can bridge the gap. InMobi investors include SoftBank, and Kleiner Perkins Caufield & Byers, as well as Sherpalo, which has been rumored to play a role in the talks.